On Thursday's #HotGoss, Nick Jonas is head-over-heels in love with his new fiancee, and this video will prove it. Also, one of our very own is turning New York on its head. So how exactly did the love story between Nick Jonas and Priyanka Chopra begin? 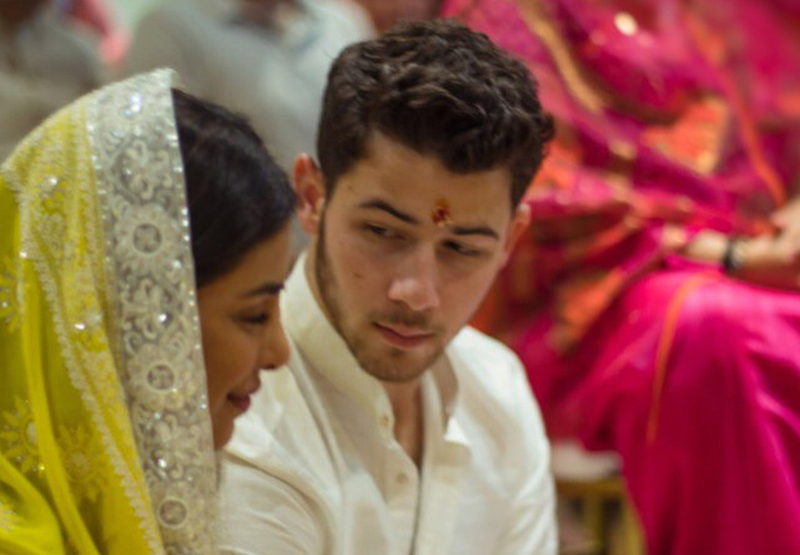 It's been over a month since Priyanka Chopra and Nick Jonas made it official after their beautiful traditional 'roka' ceremony in Mumbai. While many fans were beaming, others had questions about how their love blossomed. Wonder no more as Nick Jonas has spilled everything about their love story to Jimmy Fallon on a recent episode of The Tonight Show. It's a story of true love, an instant connection, and, of course, one hilarious nickname the couple have coined. Nick's got that sparkle in his eye and it's 'totes' adorable! Stop, in the name of David Tlale! We all hate a traffic jam - there's truly nothing worse in life to experience. But when it's a David Tlale traffic jam, we wouldn't mind sitting around for hours on end. Local fashion designer David Tlale is currently in New York for New York Fashion Week, and he made sure he turned heads while abroad. Read: David Tlale goes red! He brought traffic to a halt when he took 15 models to the streets to show off his latest Azania Spring / Summer Collection 18/19. Speaking to IOL, he opened up about why he chose New York as the city to debut his collection. "I always enjoy presenting the unexpected and I couldn’t think of a better place than the streets of NYC to show my new collection which is, after all, inspired by this city, its hustle and fast-forward bustle," he told IOL. Viva, David Tlale traffic standstills, viva!